Carbon dioxide (CO2) is a greenhouse gas, considered being the primary human contributor to climate change; fossil fuels combustion is the main CO2 emitter. EMDACT’s technology captures CO2 and converts it to natural gas by using microorganisms. Reusing CO2 has allowed us to develop a renewable energy source while reducing the greenhouse gases emission. It’s simple; we extract hydrogen from a low quality water source, mix it with CO2 in a reactor and let the microorganisms do the rest. We were able to stabilize the process and test its capabilities on a small-scaled prototype, which reflected promising results. 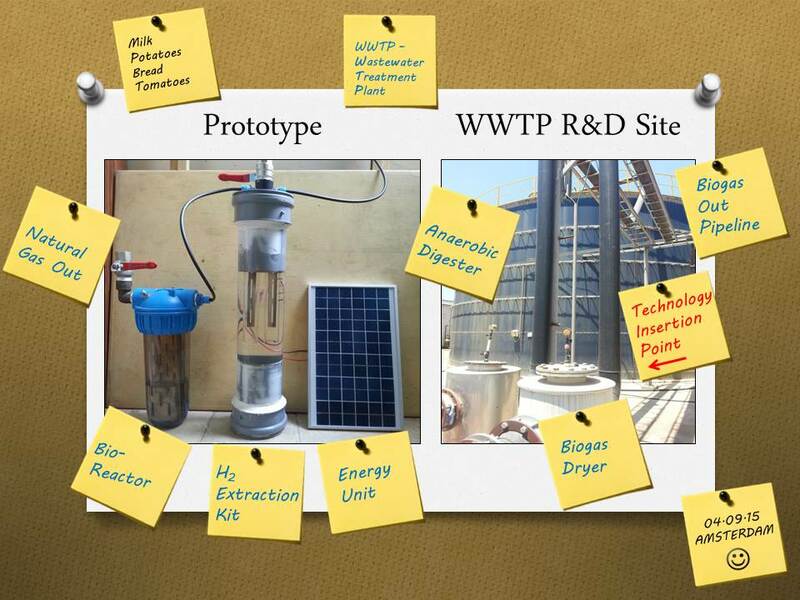 As a starting point, we will implement our technology on wastewater treatment facilities that produces biogas. Since biogas contains CO2, it’s considered to be a low quality fuel. EMDACT will process the CO2 portion, which improves the biogas’ quality and quantity. Tomer Goldstein, Co-Founder & CEO, Eran Shriker, Co-Founder & CTO.